The Earley Charity was founded in 1990 by the merger of two historic local charities: the Englefield Charity and the Earley Poor’s Land Charity. The Englefield Charity had two branches: the Widows branch and the Apprenticing branch. The charities had been working together for many years, and had the same trustees. Throughout the 1980s they had used the name “the Earley Charities” on their headed notepaper. The Englefield Charity was the older of the two. It was a private charity founded by a member of the Englefield family for the benefit of the poor people of Earley. There has always been some mystery about which member of the Englefield family was the founder, but it seems fairly certain that the Englefield Charity was founded in the first half of the eighteenth century. The Englefields were an ancient Roman Catholic family, whose ancestral home was in Englefield village. The manor of Englefield was removed from the family, however, on account of their treasonable plotting against Queen Elizabeth I. Sir Francis Englefield was convicted of high treason in 1585 and died in exile in Valladolid in 1596. 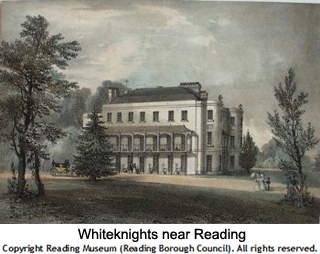 His grandson, also called Francis Englefield, purchased Earley Whiteknights in 1606, and Whiteknights remained the home of one branch of the family until the death of the last of the legitimate male line, Sir Henry Englefield, in 1822. Some years after Sir Henry’s death, around 1836, the Charity Commissioners attempted to establish the origins of the Englefield Charity, but with only limited success. They discovered that the charity was said to have been founded by the will of an ancestor of Sir Henry Englefield and found some evidence that the charity had been established more than a hundred years earlier. More recent research suggests that the most likely member of the Englefield family to have founded the charity was Anthony Englefield of Whiteknights (1637-1711). If this were correct, the charity would have come into existence soon after 1711. The dating of the Earley Poor’s Land Charity is more definite. 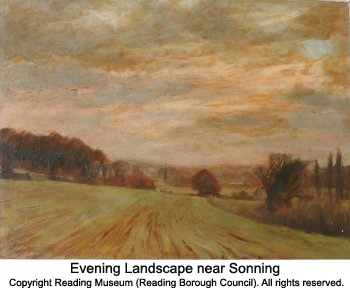 This Charity was brought into being by the Sonning Inclosure Act of 1816, which was implemented from 1820. 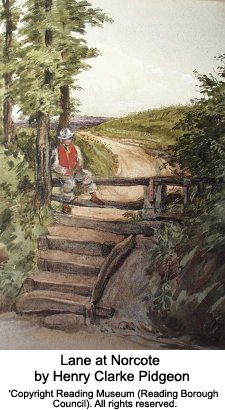 The Charity was created as compensation for local poor people following the enclosure of most of the common land of Earley (then part of the parish of Sonning), and the loss of local common land rights, in particular the right to gather fuel on the common land “by hook or by crook” (i.e. to gather loose bracken and wood, but not to use an axe or a saw). 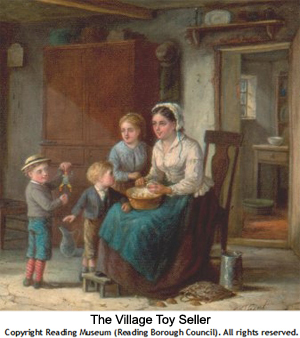 The creation of poor’s land charities was characteristic of early nineteenth-century Berkshire. Similar charities created at around the same time include the Tilehurst Poor’s Land Charity, the Binfield Poor’s Land Charity and the Woodley and Sandford Poor’s Land Charity. The acts of enclosure across Berkshire typically identified a piece of low-grade land, and appointed trustees to manage the land, raise rental income, and pay the proceeds to the poor of the area. The Earley poor’s land was in three parcels, the largest being a big field in the uninhabited area to the south of Earley which was subject to flooding by the River Loddon. The future value of this sodden field could not have been dreamed of in 1820. The area of benefit of the Earley Poor’s Land Charity from 1820 to 1990 was the Liberty of Earley (a liberty being a sub-division of a parish). The administrators of the charity came to be the local churchwardens, initially from the church at Sonning. In the 1840s Earley became a parish in its own right, and the churchwardens of Earley St Peter acted as the trustees of both the Earley Poor’s Land Charity and the Englefield Charity for most of the nineteenth century. The trustees made grants to individual poor people, and especially to widows and young apprentices, generally meeting once a year. The total population of the Liberty of Earley in 1821 was 447, and had risen only to 487 by 1851. Thereafter, however, the population grew more quickly, reaching 6658 by 1891 and 10196 by 1901. Most of the new population lived in the northern part of the Liberty, in Newtown, around Palmer Park and in Earley Rise. These more populous parts of the Liberty of Earley became part of Reading in 1899. From the late 1890s members of the Earley vestry began to question the running of the Earley charities and their close links to the church, for which there was little legal basis. Early in the twentieth century, after extensive discussions with the Charity Commissioners, the charities were re-established as secular charities with new constitutions. A new scheme was created for the Earley Poor’s Land Charity in 1903 and for the Englefield Charity in 1911. The Englefield Charity scheme specified that its trustees should be the same as the trustees of the Earley Poor Land’s Charity. The charities were active, though on a small scale, in relieving hardship during World War I. From around 1920 to the late 1980s the Earley Charities led a very quiet existence. The trustees usually met once a year, towards Christmas, when they would allocate Christmas gifts to between twenty and forty needy people in the area. A great majority of the beneficiaries, all through this period, lived in the Earley Rise area of Reading, around Wykeham Road. The Earley Poor’s Land was rented out either for grazing or (later) for use by local schools. The rental for the field was low. Having been set at £29 per year in 1867 and raised to £30 per year in 1875, it had fallen to £23 per year by 1903 and was still £23 per year in 1933. The last occasion when Christmas food parcels were distributed was Christmas 1987, when the trustees personally delivered 38 packages, worth about £5 each, to elderly and needy local people, mostly in the Wykeham Road area. In April 1988, after years of discussion and preparation, the trustees sold the major part of the Earley poor’s land to Heron Homes for £6,103,000. Since that time the Earley Charity has assumed the role of one of the major local charities in central southern England. It built Liberty of Earley House in Strand Way, a beautifully appointed property set in splendid gardens, which it ran as a residential care home from 1991 to 2019, when ownership was transferred to the Reading Almshouse Charity. And it developed a wide-ranging and innovative programme of grant-making both to individuals and to organisations in the neighbourhood of the Liberty of Earley. Its grants have ranged from small donations to individual local people, typically around £250 but occasionally under £50, to the grant of £770,000 which made possible the building of the Earley Crescent Community Resource Centre.